British Foreign Secretary Boris Johnson on Friday sent his warmest wishes to all those celebrating Pesach (Passover). 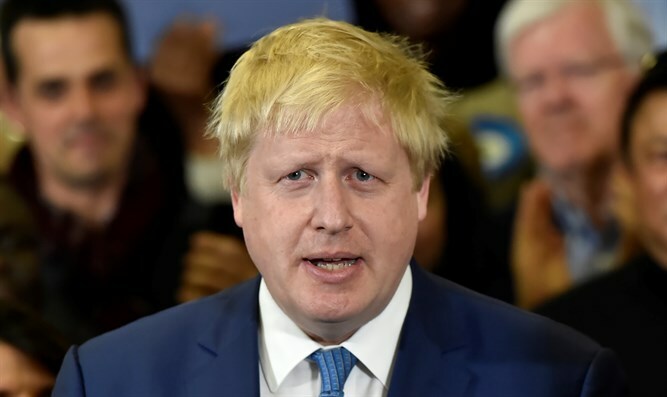 In a statement, Johnson said, "Passover is a time of coming together, when Jewish communities commemorate the liberation of the people of Israel from slavery in ancient Egypt. It is a time to celebrate freedom as a basic human right." "Pesach sameach (a happy Passover) to all Jewish families both in the UK and around the world. I wish them a happy and peaceful holiday." Pesach begins Friday night, and ends Friday night next week for Israeli Jews, and Saturday night next week for Diaspora Jews.